You can delete your Facebook account permanently and if you don't want to get it deleted permanently you also deactivate it means delete your Facebook account temporarily. Facebook a social networking website does plethora of things egregious and obnoxious, creating private controversial photos of people public, posting about polemical posts about politicians, celebrities, etc. The Foremost victim is youth, Facebook is mostly used by youth in any country which makes them get more social by sharing photos, their ideas, thinking, etc. Time to time you understand the demerits of it, then you think about deleting a Facebook account and search on Google and you are here. Open the Facebook page, type your login details and Login to your Facebook account. From the drop down list, click Settings to open the settings page. On the page opened, click Security on the left pane. Once the page opens, click Deactivate your account link. Follow the further instructions and click Confirm. This will deactivate or temporarily delete your Facebook account. Note: You account will not be shown anywhere until the account is deactivated, to activate your account, just login your Facebook account, it will reactivate your account. 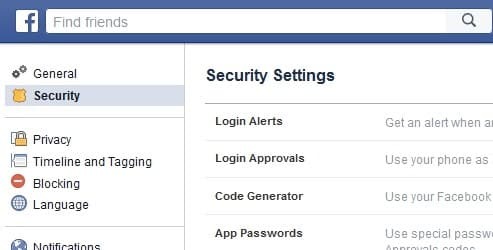 Once the Facebook page opens, type your login details and Login your Facebook account. On the opened page, click Delete account. Facebook will give you 14 days, to change your mind for recovery of your account. 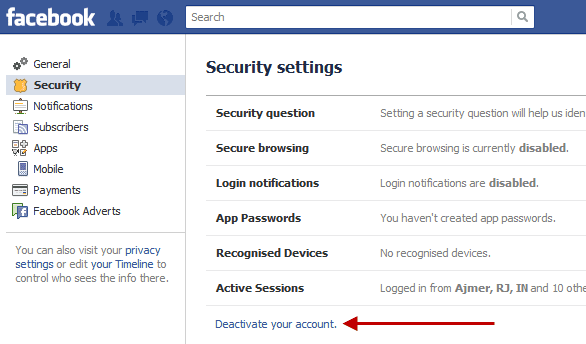 Note: This action will delete your facebook account permanently, you will not recover your account after 14 days. 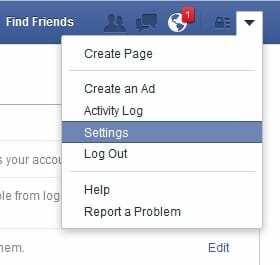 You can recover your account by logging in your Facebook account. Thanks for letting me know, It Worked ! !